EAGLES BRANDON GRAHAM: WE WANT TO GET ANOTHER SUPER BOWL! 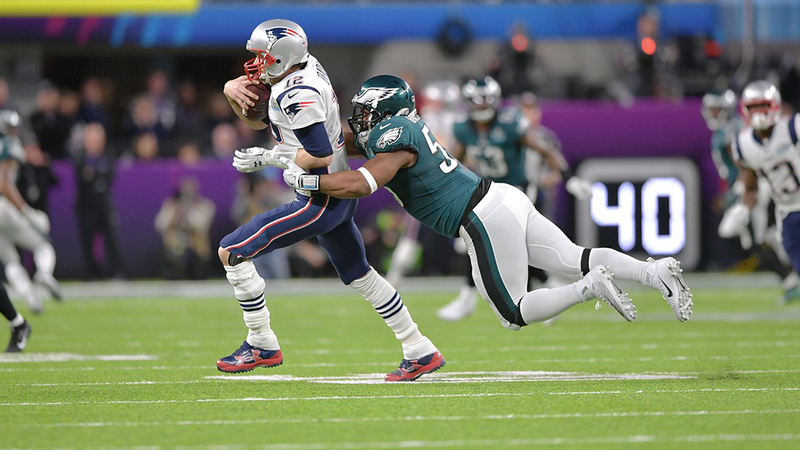 Make no mistake, Brandon Graham sees another Super Bowl victory in the Eagles future. He signed a three-year contract with the Eagles yesterday in a move that keeps him with the same team he’s played with for his entire career. When he did check in on that offer, Graham found “it ended up making sense” to stay where he’s been since 2010. Graham said he feels “like we built something here and I wanted to finish it out” and outlined what it is he’s looking to do before he’s done in Philly. With Graham signed, defensive tackle Haloti Ngata is the only impending free agent on the Eagles defensive line. Previous UNION KICKS OFF 2019 SEASON TODAY AT TALEN ENERGY! Next WATCH STUNNED PHILS FANS: WITH HARPER, WE’LL WIN 4 SERIES RINGS!